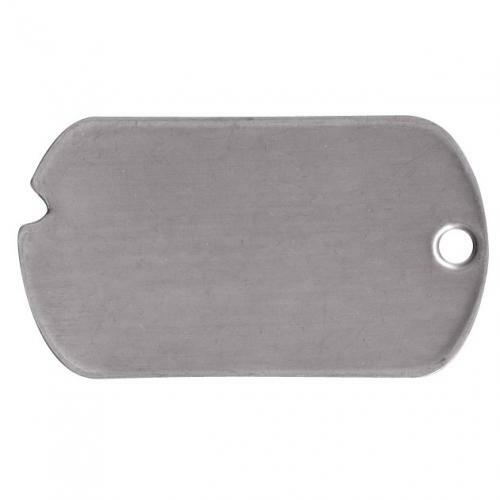 Notch on left, rolled edge down. 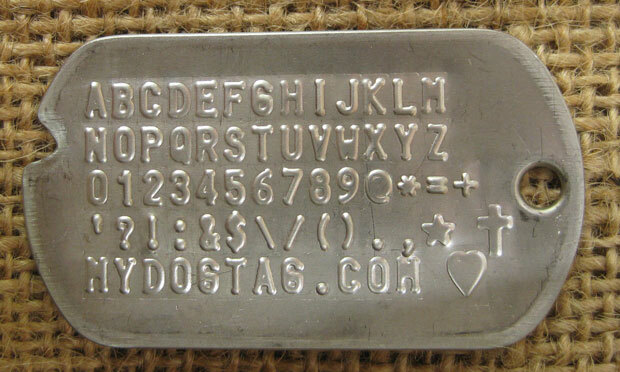 Traditionally used with indented debossing type. 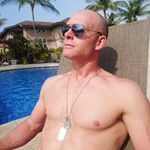 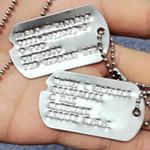 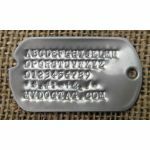 Our classic matte notched dogtags are made to resemble vintage WWII, Vietnam and Korean war era dogtags, which were notched for the purpose of alignment in field transcription equipment. 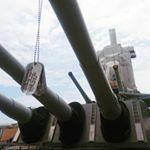 Today, this notch serves only as a historical reminder or for aesthetics. 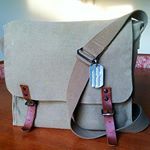 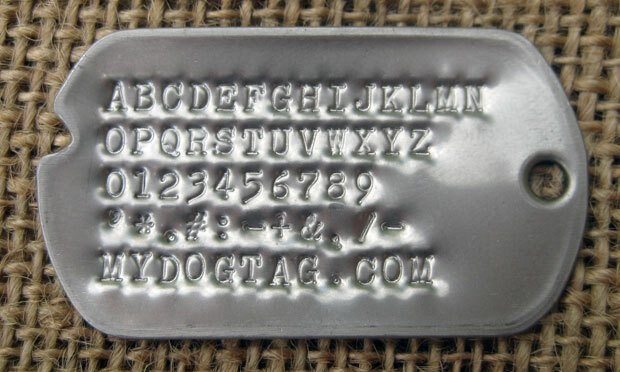 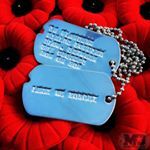 We recommend that you choose the vintage deboss type lettering for the classic notched dogtags. 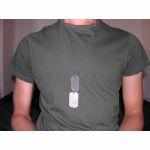 Notched dog tags were standard issue until December 1964. 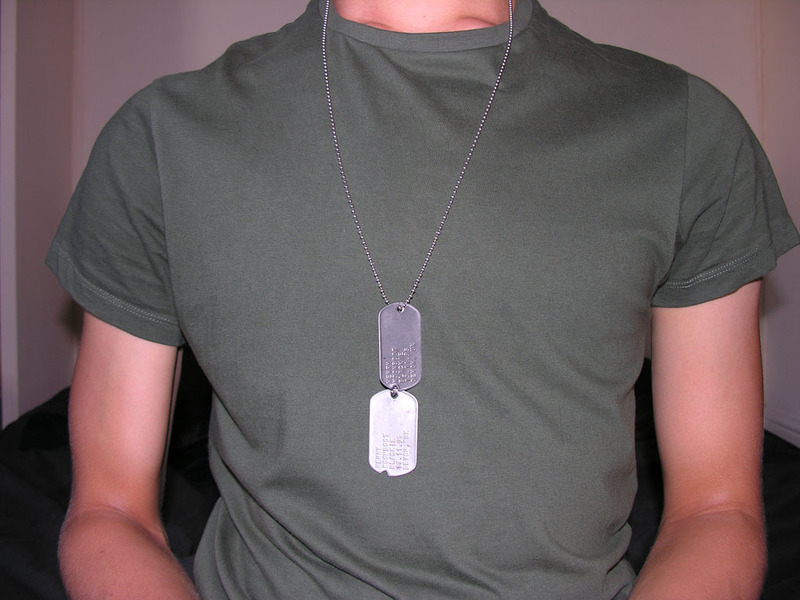 The Department of Defense officially switched to dog tags without notches in early 1965. 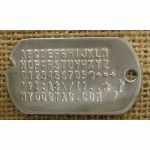 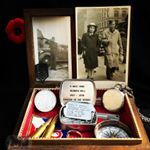 However, military bases with older notched-style tags in inventory still issued them for a while from 1965 up until 1966. 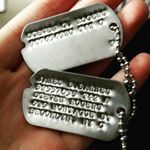 See an example of a fully customized Notched WWII Dog Tag for a WWII vet, for a Vietnam vet, for a Korean war vet.